Hazel Edith Cooper, age 101 of Miles City. 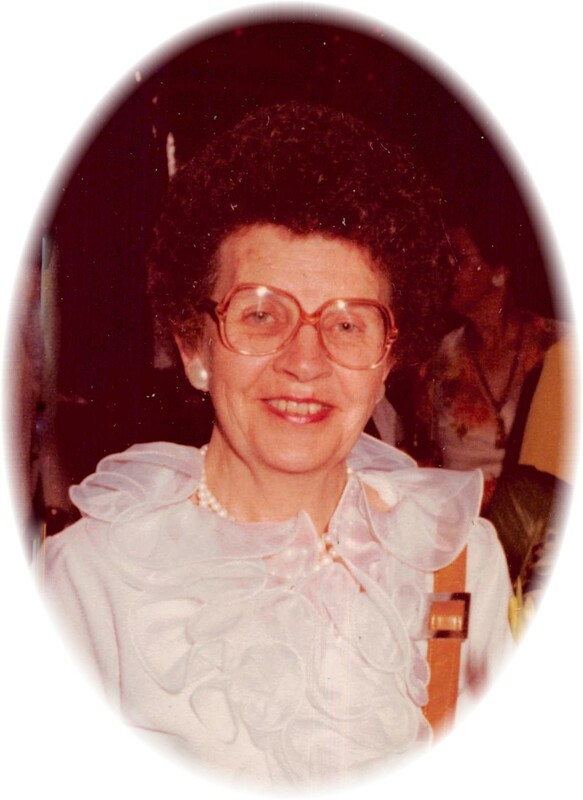 Hazel E. Cooper 101 passed away Jan. 27, 2019 at Holy Rosary under the care of Hospice. She was born August. 1, 1917 in Miles City, MT. She was the oldest of three daughters of Ray and Nellie Drennen. She grew up around Jordan and went to county school on horseback. She graduated from Jordan High School in 1933 at the age of only sixteen. She went to work at the courthouse and a restaurant. While working there she met C.R. (Bud) Cooper They were married on November 29th, 1935 in Grandview, WA. Together they had three children Howard, Bonnie, and Alan. Hazel counted herself blessed by God. I’ve had a wonderful life. In 1946, they moved to Miles City. All her life Hazel wanted to be a piano teacher. She taught under Ester Benson for two years, before going out on her own. She taught for 60 plus years. She enjoyed traveling very much. Having taken trips to Alaska, Europe, and the Holy Lands. She is survived by her son Alan of Miles City and her daughter Bonnie Barnes of Bandon, OR. Six Grandchildren, Sixteen Great Grandchildren, and numerous Great Great Grandchildren. She is proceeded in death by her parents, sisters, husband, and her son Howard. Family will receive friends on Monday, February 4, 2019 from 4-6 p.m. at Stevenson and Sons Funeral Home in Miles City. Graveside services will be held on Tuesday, February 5, 2019 at 10:00 a.m. at the Custer County Cemetery. my sympathy. u will be remembered by so many. Sorry to hear about Hazel. Many memories when She, Katherine, and Enid came to the Custer Co Rest Home to do Bible Study. Rest in peace. Sorry to hear about your mother/grandmother. She was my piano teacher for eight years. Bonnie,Allen and all your families,we are so sorry to hear about the passing of your mother and grandmother. You all were very fortunate to have her 101 years she will be greatly missed.Our prayers and thoughts are with you all during this difficult time and in the days to come. Sorry for your loss, she was my piano teacher many years ago. She will be missed. I’m so sorry for you loss. Hazel taught me piano for years. I always loved seeing her for my Tuesday lesson. She was such a sweet and caring person. So sorry to hear of the loss of your Mom Hazel. She taught my sister and I piano for many years when we were growing up. She was an amazing and fun teacher. She will be truly missed by all who knew and loved her. My thoughts and prayers are with you thru this difficult time. What a classy lady! She taught both Gerald and Heidi piano and they are still using these skills today. The recitals were always well done as only she could arrange. She was a beautiful lady in many ways, always kind and gracious. We were so blessed to have her in our lives. She is resting in love and peace. The world is a more melodious place for Mrs. Cooper having been here! She was a wonderful teacher. Condolences to her family on their loss. What a lady!! She taught a lot of Miles City to play piano. Our sincere sympathy to all of her family. Hazel was a wonderful lady. She taught my son piano. She made it affordable for all who wanted to learn. I am sure she is playing for all who are in heaven. Alan, We have great memories of your mother. She taught piano to Lynell, Lowell, and me. She was a great person. Love and prayers to you. Aunt Shirley, Lynell & Lowell South. So sorry to hear of the passing of Mrs Cooper, I took piano from her, and although I am not the best piano student, she gave me a Compliment? if you will….lol, she said “You sight read just as good as you father did” Which was her kind way of saying she knew I hadn’t practiced. She was a kind and gentle soul. May she rest in Peace, and your family have peace with her passing. I am greatly saddened by the news that Hazel is gone. I remember her great hospitality when I visited Bonnie when we were at Washington Elementary together. She was proud of Bonnie at all the piano recitals we had, and the choral groups in junior high and high school. I will always remember when Berta and I visited her several years ago and she played several pieces for us. She truly was one of a kind, had a terrific sense of humor, and a wonderful family. I was so sad to hear of Mrs Coopers passing. She will always hold a special place in my heart for teaching me to play the piano. I have very fond memories of Friday afternoon lessons and recitals. I visited her a few years back and have a picture of us together that has been on my piano since. Prayers for her family. Thank you Mrs Cooper for a life long gift. Bonnie and Alan, Sorry to hear of the loss of your mother. My daughter and I both took lessons from her. Your families are in my prayers. Carlene Aastrom Root. My sincere sympathy to Alan and the rest of Hazel’s family. She lived a long and fulfilling life. My sympathy to Hazel’s family. Two of our kids took piano lessons from her and they loved her as a fun and nice teacher. She was an exceptionally nice lady. Hazel looked great at her 100th birthday party. Oh such wonderful memories of this precious lady! As with many young people from Miles City, I was one of her piano students and amd still very proud of that! I started out going with my neighbors to their lessons and just watching because I didn’t have a piano. Mrs Cooper knew how badly I wanted to play and contacted my parents when she learned of a gorgeous black upright German piano (complete with the round stool) was in need of storage while the owners were stationed over seas. The owners had been living at the base just west of Miles City and they wanted someone who could store the piano and enjoy it! That was such an amazing thing she did for me and my parents as we could not afford a piano at the time! She knew how very badly I wanted to play. Hazel was such a beautiful role model for her students! I now own an antique parlor grand piano and think of Hazel often. As wonderful memories live on in the hearts of so many, I pray that precious memories fill your hearts and bless you with peace. She’s playing up in heaven for the angels!